Orientation is an exciting day on campus and a great start to your student journey. It will help prepare you for life and study at AUT and make sure you’re ready when classes start. On the day you’ll meet with fellow students studying your qualification, get to terms with campus layout, learn all about the support options available to help you succeed and get connected to the free AUT Wi-Fi. 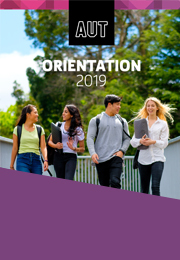 It’s a day not to be missed, but if you really can’t get to our on-campus orientation event, this information contains what you need to know to help get you started at AUT too. There are different days for different programmes and campuses – and you can download the event schedule for your day. If you need to make changes to your timetable, talk to your programme administrator. New to AUT? Find out about life on campus and how to navigate your first year with us. Check our how-to guide for new students and get to grips with AUT’s digital and online systems. There is no magic solution for study success – you’ve got to put in the work. Get tips on how to study smarter at university. Finding your way around a new place can be tricky. Find maps, tips and info about our campuses and how to get around them. 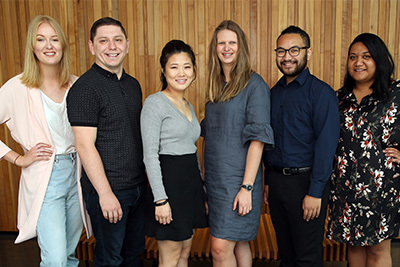 Explore the extra support you can get while you’re a student at AUT – learn about our student services, facilities, clubs and more. Got any questions about orientation? Just ask.